Chris has represented national and international mining companies in conducting environmental due diligence for mining transactions and acquisitions - including for transactions involving world class gold; copper; and molybdenum deposits. He has represented clients in permitting natural resource projects or with permitting issues - including in the copper; garnet; and coal sphere and has navigated NEPA; Clean Water Act; Clean Air Act and various other mining or environmental statute issues. Chris has litigated cases involving various environmental statutes - including CERCLA; NEPA; the Clean Water Act and Montana’s constitutional environmental provisions; mineral leases; contractual and tort claims regarding mining ventures and condemnation and easement disputes. Christopher (Chris) C. Stoneback is a Partner in the Firm’s Litigation and Energy, Environment, and Natural Resources Departments. Chris co-chairs the Firm’s Natural Resources and Environmental Litigation Practice Group, and is a past Director of the Firm’s intern program. Chris’ practice focuses on civil litigation, particularly environmental, natural resources, and commercial litigation, and also on environmental due diligence and permitting. Chris has tried numerous cases from inception through jury verdict and appeal, and has considerable experience in conducting environmental due diligence for mining transactions and managing the legal aspects of permitting mining operations, including mining permits, water discharge permits, and air quality permits. Chris has litigated in both State and Federal courts and in administrative agencies, and he has presented legal education seminars on electronic discovery, the legal challenges expected for natural resource permittees, and Montana’s constitutional environmental provisions. Chris has also drafted, lobbied for, and seen enactment of environmental legislation aimed at achieving client needs. 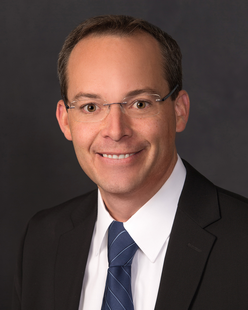 He is licensed to practice in Montana and North Dakota State and Federal courts.